Mongooses are fierce hunters from Herpestidae family, commonly found in the open forest, cultivated land and close to human habitation. 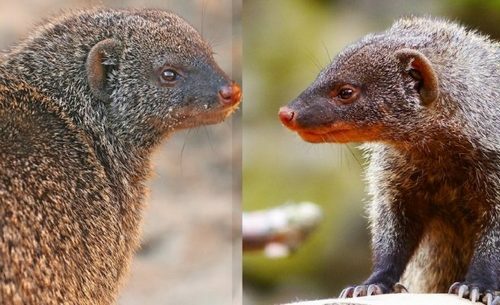 There are five species of Mongoose are endemic to the island of the Indian-Subcontinent and also found in South Asia. Indian grey mongoose or common grey mongoose is the most common species of mongoose found in forest, open fields and around human settlements. The grey mongoose usually omnivorous, found single and preys on rodents, snakes, lizards, frog and scorpions. Ruddy Mongoose along with striped-neck and grey mongoose are known 3 species of mongoose endemic to India, and very closely related to each other. The carnivorous mammal native to Sri Lanka and India. 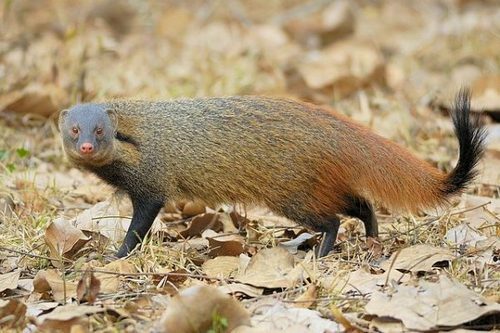 Stripe necked mongoose are mostly found in southern part of India as well as many parts of the Western Ghats. The grizzled grey color mongoose prefer forested areas and was recorded from tiger reserve in Karnataka and Kerala. 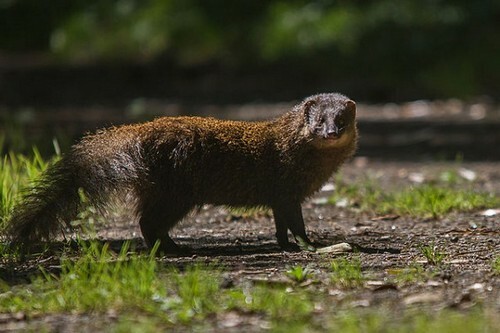 Indian brown mongoose found in lowland rainforests of southwest India and closely related Short-tailed mongoose with dark brown body and black colour. Crab-eating mongoose are found in northeastern Indian subcontinent and also recorded at altitudes of Nepal. In Assam and Arunachal Pradesh of India, they have also observed on agricultural fields near human habitation and active in the mornings and evenings. The Indian mongoose or small Indian mongoose is treated as a separate species from Javan mongoose, also introduced to other parts of the world. The opportunistic feeder and fierce hunter are ecologically important for their ability to fight and kill venomous snakes like Indian Cobra.